Trucks with a bed shorter than 8 ft are called short bed trucks. If you want to install a 5th wheel hitch on this type of truck, there is one important condition. You need to make sure that it won’t let the trailer collide with the truck cab. In order to have a safe and unhindered operation, the hitch has to be right over the rear axle. For a short bed truck, this means it will be closer to the cab than in the case of a long bed one. This why an appropriate type of 5th wheel hitch is needed or you have to put in an extension. Modern and the most expensive of all, automatic slide offers you the latest technology and innovation. As the name suggests, when you are entering a tight turn, the slide of this hitch will automatically move. It requires no input from your end so you can casually get on your way without any worry. Fast and convenient are the notable benefits of this hitch. 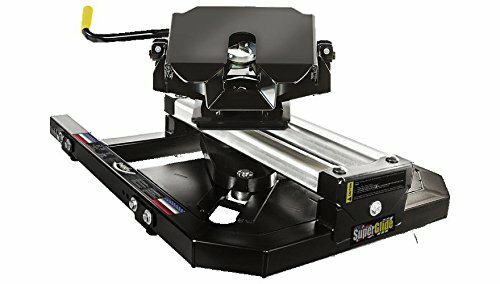 If you want to have a safe and smooth 5th wheel hitch for your short bed truck, this is your best bet. Its price is quite high though and only a small range of product to choose from. Beside the hitch, there is also the need for a set of rails. Generally, a universal installation kit will provide you the rails that can be used on any truck bed. But this means you may have to drill holes to tighten the rails. So if possible, get the rails that are specifically produced for your type of truck. This is how you can use pre-existing holes on the truck bed to secure the rails and preserve the bed appearance. 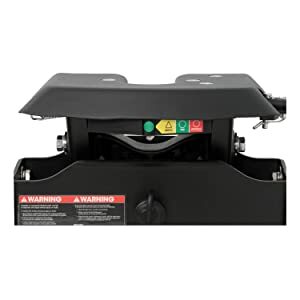 Most 5th wheel hitch is manufactured with an industry standard. It means one hitch can work on pretty much any set of rails so try to purchase a set of custom rails to save time and effort. Employ a sliding system, this 5th wheel hitch will satisfy the towing need of any short bed truck owners. The fixed position hitch is stronger and can tow more weight than sliding type. But it also raises the chance of collision between the cab and the trailer on short bed trucks. To neutralize this problem, some hitches like this one use a slide mechanism. While doesn’t have the same capacity as fixed position style, you can make turns more convenient with this hitch. You can have up to 12 ft of displacement which is better than most models. The jaw design of the CURT 16521 A16 is the double jaw. It envelops the kingpin and minimizes the noise when in operation. The accommodate handle can be operated with ease making this hitch very simple to use. The REESE Titan 30870 is a manual slide hitch that can be used effectively on short bed trucks. While you have to adjust it whenever you near a tight turn, it’s a cheaper option compared to automatic slide. And effective vibration isolation mechanism allows the hitch to have a swift and smooth operation in most of the case. It also got height adjustment so you can modify to better fit your own condition. Another great 5th wheel hitch with slide for short bed trucks, this one has an innovative feature. 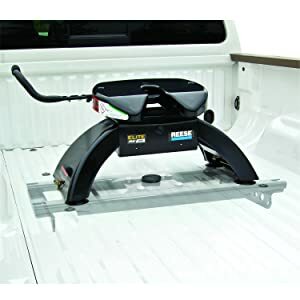 Most 5th wheel hitch requires a certain level of installation with rails and bolts, there is no need for any of that here. When you need to need to tow, just put it in and that should be it. And after the hauling is done and you need to use the truck bed for other tasks, you remove the hitch completely in mere minutes. The only thing the hitch need is a mounting bracket that you can purchase separately. It’s a flexible choice for people want to multitask. For its performance, you can expect everything a quality 5th wheel hitch can deliver. Its notable features consist of a spacious kingpin, double pivot head and theft proof handles. The double jaw design should reduce any noise that may occur on the ride. Utilize corrosion resistant steel, it can withstand any kind of weather and temperature conditions. A maximum of 12 ft clearance will allow you get into turns easily and comfortably. A 5th wheel hitch main purpose is to help you pull heavy trailer and camper. That is why its towing capacity is an important specification that you must consider. About this, the Reese 30143 is a high-quality hitch that can sufficiently support a lot of weight without breaking or detaching. The single jaw design allows it to have a very firm and durable grip on the kingpin. There are also fewer parts that can break or malfunction when you are using it. The 7-year warranty speaks a lot about the manufacture confidence on their product quality. 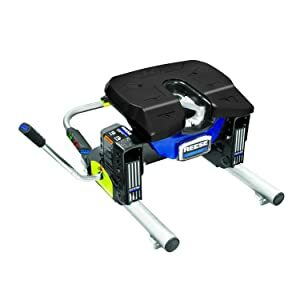 One of the best 5th wheel hitch you can get for a short bed truck, PullRite 2300 can fulfill any requirement. Its fully automatic slide ensures that you don’t have to lift a finger when making tight turns. With a weight support of up to 24,000 lbs, it can tow almost all truck trailers and campers. While the price is indeed high, your experience with it will prove that the hitch totally worth its cost. You can also get a universal set of rails to install on your truck. In the case that you already have the rails on, just mount in the hitch and enjoy its usefulness. In operation, the hitch will never fail to deliver. From mountain track to muddy road and tight turn, the coupling will always stay strong. The attach and detach processes can be performed very simple. With the hitch on, you can drive with your mind at ease knowing that the trailer connection is secure. You may feel it may be a bit tight at first but some lubrication will be enough to fix that problem. Spray in a bit WD 40 to smooth the hitch operation and prevent moisture accumulation. 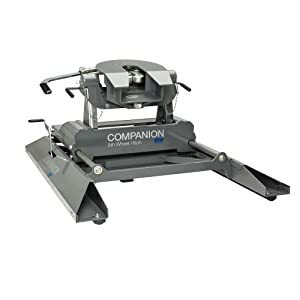 What Are The Differences Between Gooseneck vs 5th Wheel?